Let's mix things up a bit. Pictures first, words later. 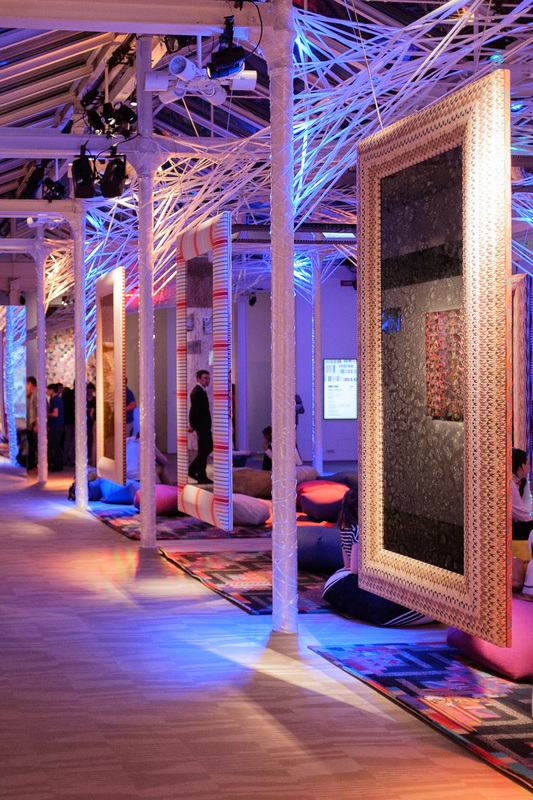 Brera is one of the most vibrant areas of Milan during Design Week. So sprawling that it's hard to enjoy visiting the Brera Design District without knowing where to go. 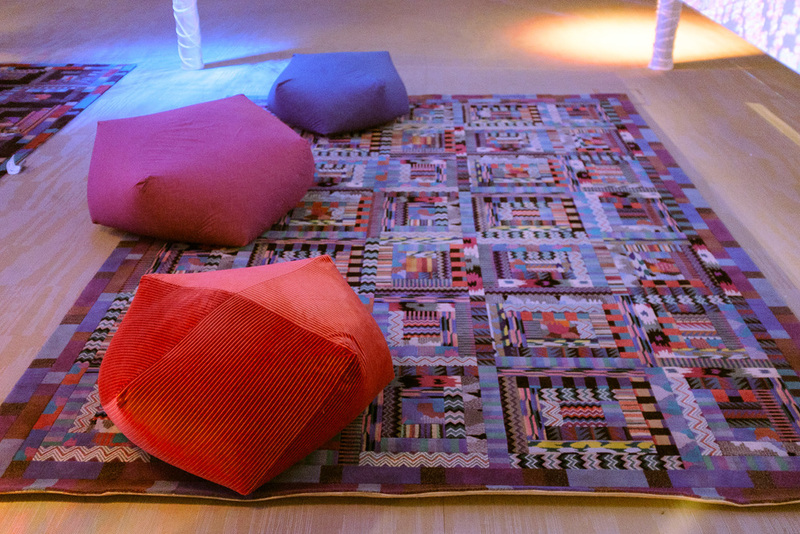 Remembering how good Missoni's showroom in Via Solferino was during last year's Fuorisalone, I decided to return there. 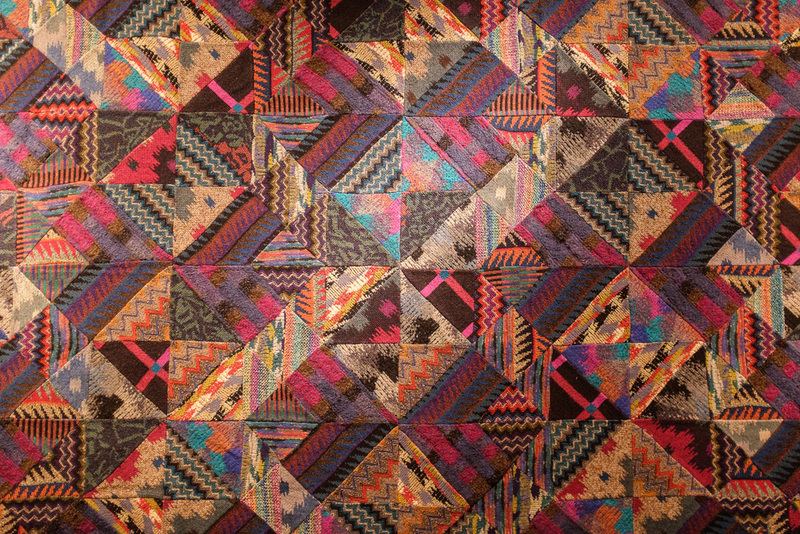 I was not disappointed – the space looked fabulous, and some of the patterns were very nice to look at. I didn't see all that many interesting things in Brera, so I won't bore you with pictures from uninteresting events. 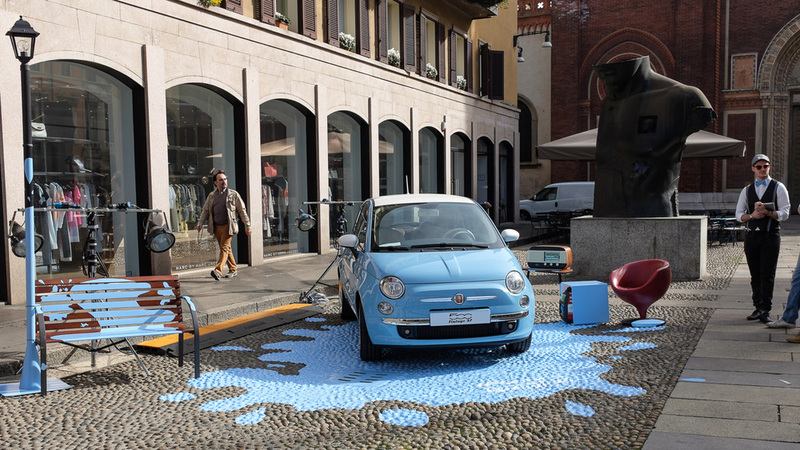 On the other hand, two car companies, Land Rover and Fiat, had some nice installations out on the street in the Brera / Garibaldi area. Speaking of cars, long-time crazy-good Fuorisalone event organizer MINI took over a building in the Tortona Around Design area to showcase its Citysurfer Concept, an electric kick scooter designed for usage in urban settings. The space was designed by Spanish designer and artist Jamie Hayon, and included a food & beverage area curated by Corrado Calza. They also set up a DJ booth and a sound system and invited my friend Daniele D'Andrea (of Futureground) to play a three hour set. He spun some groovy records, providing the perfect soundtrack to the chilled vibe of the MINI Urban Perspectives installation.